What is more important than a green lawn? A healthy lawn. Multiple different species of grass with the latest hybrid genes that improve tolerance to various harmful insects and diseases. With our 6 application program, we provide your grass with a consistent supply of Nitrogen, Potassium and an assortment of micro nutrients to keep your lawn healthy and green. We also monitor and make recommendations on when and how much water you should be putting on the lawn. Because we all know that "ideal rainfall from April through November" is wishful thinking. Most companies will charge you for a spot fungicide application when lawn disease like Dollar Spot breaks out. We're here to tell you that there are very few fungicides registered for residential use that will control these problems, and the ones that do are not very effective once the disease is visible. For lawn fungus outbreaks the best medicine is to fix the underlying problems by introducing more bacteria and organic matter to the soil and regulating the watering schedule. An important part of keeping a lawn on the Jersey Shore is understanding what type of turf you have. Most of us have cool season turf - some combination of Fescue, Bluegrass, and Rye. This stays fairly green all year and really looks great in the spring and fall. Unfortunately in the peak heat of the summer it can get brown because it cannot take in enough water to keep up with evaporation. Our spring applications set the grass up to withstand the stressful summer conditions by keeping weeds and damaging insects under control. 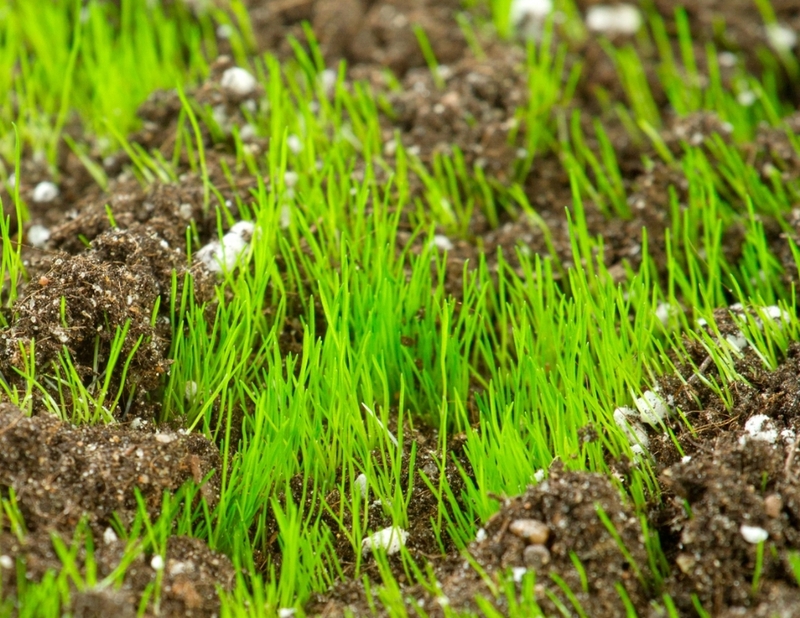 Introducing new disease-resistant varieties of grass into your lawn, filling in thin spots, and reducing soil compaction are three good reasons to do an aeration and seeding every fall. We apply lime to correct the pH of the naturally acidic soil found in this region, and to offset the acidification that occurs from a season of fertilizing.